So I know it’s been a while since my last post but I have a good excuse for that… Italy. More on that later. For now I have to tell you about PICO Genesis, hands down the best skincare treatment I’ve tried and what I have to thank for my holiday glow. You guys know I place a high importance on looking after my skin. From wearing sunscreen daily to keeping up my monthly peels, I will leave no stone unturned in having the healthiest complexion I can. A short time before I went overseas I was introduced to PICO Genesis by the team at Clinica Lase. 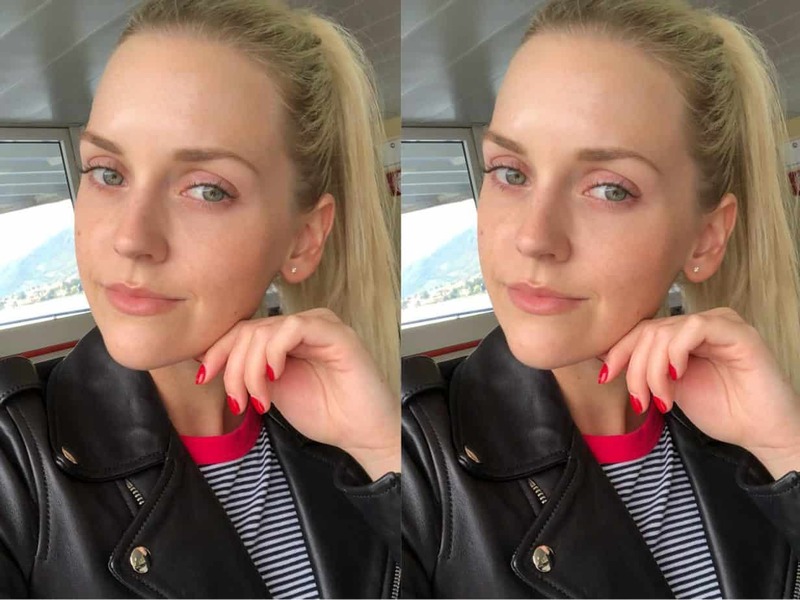 After just two treatments, and in time for my Italian getaway, my skin literally TRANSFORMED before my eyes. This non-invasive laser treatment is truly incredible. It’s almost hard for me to put into words the results, you can just see it right there in the mirror – the improvement is amazing! Basically, my skin just looked good. Like, really good. Applying my makeup every morning was super quick and easy with just a touch of tinted moisturiser, concealer and some blush and bronzer being more than sufficient. I’ve also gone many days without any makeup at all. PICO Genesis essentially took my skin to that next level. You know how you see those seemingly flawless faces on Instagram and wish your skin looked like that? That’s what it’s like, no filter needed. 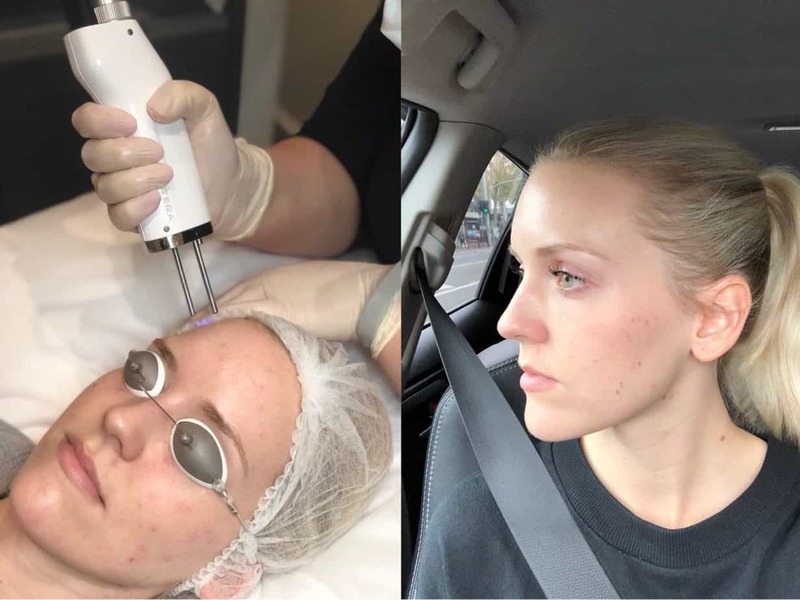 For me in particular, stubborn pigmentation spots dramatically faded after just the two treatments and gave my overall complexion a glow and vibrancy I have long been striving for. A described… no filter or editing wearing only tinted moisturiser, concealer, blush and bronzer. 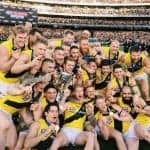 You might be wondering what’s the catch, but there really isn’t one! The downtime post procedure is minimal. Initially, my pigmentation spots darkened and I upped my anti-histamine intake for the first four days. Then over the next week my skin appeared a little dull and my fine lines were slightly more prominent, but nothing drastic or anything noticeable to others. Then the spots faded from the surface and my skin regenerated, and I noticed peak results from around the five-six week mark onwards. It’s now been eight weeks since my second treatment and my skin is still glowing, with just one or two fresh pigmentation marks following some time in the Italian sun. Left: During treatment showing darkened pigmentation spots. Right: Two days post-treatment. To explain PICO Genesis further I’ve enlisted the help of Crystal, founder and director of Clinica Lase, to break down all the ins and outs of PICO Genesis from an expert’s point of view. PICO Genesis is a highly effective laser treatment for the skin. This cutting edge technology combines the benefits of three wavelengths delivered in ultra-short pulses, picosecond and nanosecond, to create non-thermal, photo-mechanical disruption and remodelling of the deeper layers of the skin. 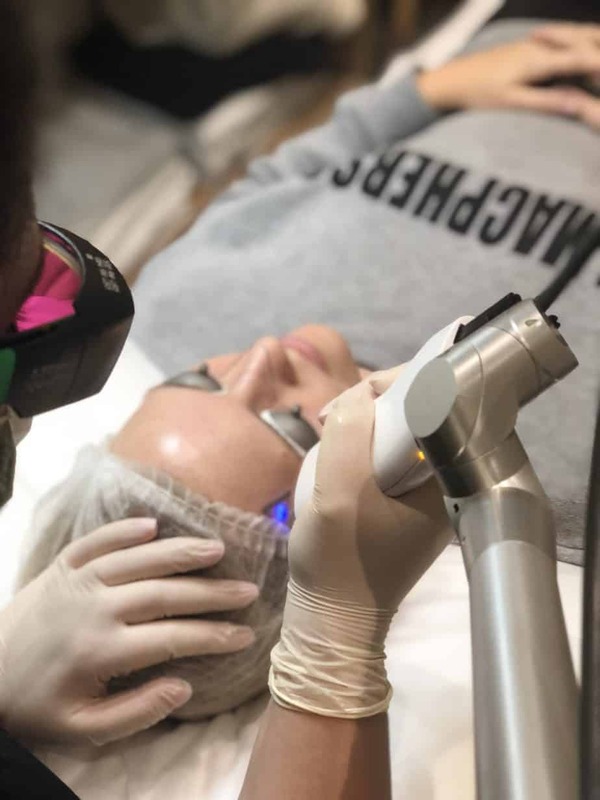 In addition to general rejuvenation, the multiple wavelengths also enable customised treatments to target a number of different concerns such as superficial pigmentation, sun spots, melasma, acne scarring, ice pick scarring and much more. The ultra-short pulse durations means amazing results can be achieved with much less downtime than traditional lasers with a far lower risk of post inflammatory hyperpigmentation. What are the main benefits of PICO Genesis? PICO Genesis is a true game changer when it comes to treating a wide range of pigmentation concerns. Particularly difficult pigmentation problems like melasma that most other lasers are not suitable for. PICO Genesis is equally as effective at providing noticeable improvements in skin tone and texture. Most clients report their skin generally looks more radiant and having a luminous glow. Can clients expect any downtime or reactions from the procedure? The PICO Genesis treatments can be performed using various techniques. Most have minimal to no downtime. In some cases there can be up to five days of downtime following a ‘resurfacing’ PICO treatment that provides the ultimate wow factor. We are finding the results to be very long lasting, especially if the clients are maintaining correct homecare and maintenance treatments. Clients that generally suffer with pigmentation have a predisposition for this condition and therefore will develop new pigmentation that they may need further treatment. In terms of treating clients who are concerned with aging our aim is to reverse some of the signs of aging whilst also slowing the process down. Unfortunately we cannot stop it all together! Who is the treatment most popular with? Everyone! The most incredible thing about the PICO Genesis treatments is that it is suitable for all skin types and colour. Anyone who is concerned with discoloured skin, wants an improvement in fine lines & wrinkles, improved texture and overall improvement in skin health – including on the neck, décolletage and hands – would greatly benefit from a PICO Genesis treatment.